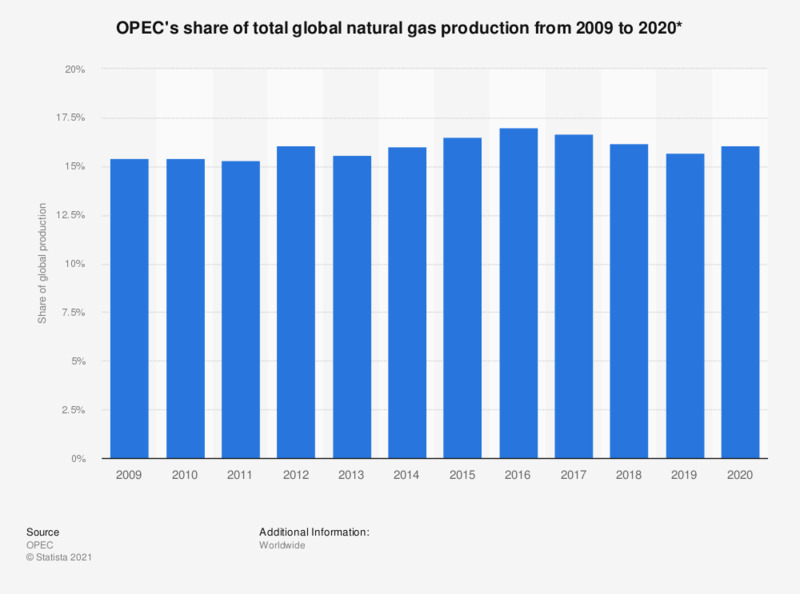 This statistic depicts OPEC's share of the total global natural gas production from 2009 to 2017. In 2009, the OPEC countries accounted for some 18 percent of the total natural gas production worldwide. This percentage increased up to over 22 percent by 2016. * Marketed production. Revisions have been made throughout the time series. Everything On "OPEC" in One Document: Edited and Divided into Handy Chapters. Including Detailed References.